There’s been lots of talk in the prepping world that America’s fluffy existence is soon coming to an end – or at least taking a long break. Massive government debt (currently over 19 trillion) and personal debt (3.4 trillion and rising) numbers in America alone are causing concern for many economists and governments. If a major financial, political, natural or terroristic disaster occurred, how would stressed out Americans handle it? Would there be widespread riots? Cleared out grocery store shelves? According to a popular prepping article, Germany has warned its citizens to be prepared for potential impending disasters by having a ten-day supply of food and five-day supply of water on hand. Other warnings are being given throughout the world, even in the United States. Maybe government officials know something we don’t, or maybe they’re just encouraging citizens to take smart steps to protect themselves. Either way, it’s a smart idea to know what steps you can take to prepare yourself and/or your family for a SHTF situation. As I spoke of in this post, it’s important for everyone to be prepared. Today, though, we’re going to talk about specific steps you can take to prepare yourself for an unexpected disaster of any kind. The most important part of prepping is having a plan securely in place; a plan that will reduce the temptation to panic and will cover all of your basic needs should a disaster occur. Here are the steps we recommend taking to prepare a safety net in the event of a SHTF situation, whether that be a natural disaster, financial disaster, terrorist event or even a personal disaster such as a job layoff. A disaster may mean that grocery stores are unavailable due to a power outage, or simply sold out due to widespread panic. Statistics show that it takes less than three days to clear out a grocery store in the event of a disaster, so your best bet is to be prepared ahead of time so you don’t have to depend on grocery stores if you don’t need to. How to do that? Have a minimum of two weeks (serious preppers recommend six months) of food for your family on hand in your house or apartment. Not having a big house isn’t an excuse; see this article on how to find “hidden” storage space even when you think you have none. Make sure and choose foods that your family likes when creating your stockpile. Ask family members and make a list of non-perishable foods that everyone likes. You want to be prepared to thrive, not just survive, during an emergency. Set your stockpile up like a grocery store. Older foods at the front of the pile, newer cans at the back of the pile. Since you’re picking foods you like and buy anyway, when you replenish an item in your kitchen pantry, buy it at the store and put it in your stockpile at the back. Then take the oldest of those items (hopefully at the front of the pile) and put it in your pantry for daily use. This should help you avoid food waste via expiring items. Make a plan for preparing food, or have only pre-cooked foods in your stockpile. Keep extra propane tanks on hand for the grill or have a generator at your house for if the electricity goes out. Have TWO manual can openers at your house at all times. All the food in the world does you no good if you can’t open it and prepare it. Good prepping means having a plentiful water supply for both you AND your pets. Plan on one gallon per day, per person for minimal drinking water, cooking water and cleaning needs. You’ll likely not be able to take a hot bath during disaster times so a short sponge bath every few days will have to do. Water for drinking purposes is easier to store than milk, soda etc. and better for you. Use food grade five gallon buckets or 55 gallon water safe barrels to store water. These five gallon food grade buckets are also great for storing rice, flour, beans and other non-perishable items that you might buy in order to save money on groceries or for prepping purposes. Here are some guidelines on safe water storage that will help you to avoid accidentally contaminating your stored water. That may mean purchasing a generator for your home, using a wood stove for heat and cooking, having back up lanterns or leaving your home for a place that has power. You don’t want to be stuck at home in the dead of a northern winter with no heat.This portable generator has great reviews on Amazon. First aid items such as antiseptics such as Neosporin, hydrogen peroxide, isopropyl alcohol, wound dressings, ace bandages, arm slings, foot and knee stabilizers, etc. I recommend having a suture kit on hand as well for minor cuts requiring stitches. You could also get these steri strips from 3M: 3M Steri-Strip reinforced Skin Closures – 1/2″ x 4″ – 10 pack of 6 strip envelope (60 strips) They’ll close a wound for you with no stitches required. Here are some ideas for what types of toiletries to have on hand. This is just a short list – go through your household pantry to determine what else you might need or want to have on hand. 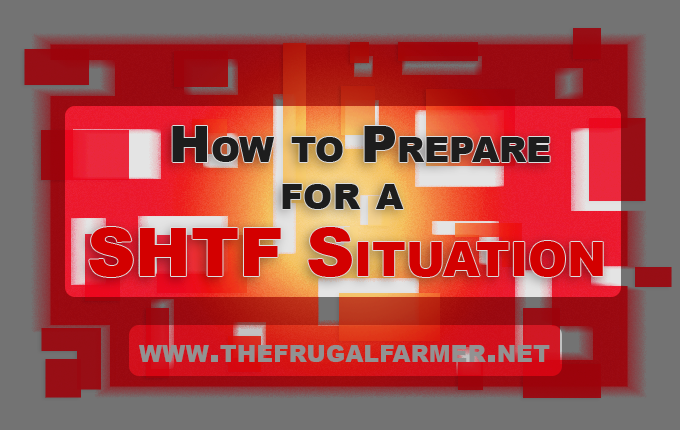 The next tenet of preparing for a SHTF scenario is having a plan in place. Your plan should fit your individual family and should include the following ideas. Where Are You and Where Will You Meet? It’s important when making a plan to determine how you’ll gather the family together and where you’ll all meet. If you have under driving age children, this includes determining who will pick them up from where they’re at. In case of a SHTF scenario, Mary will pick the kids up at their school at the door on the north side of the school, where they kids know to wait. She will then meet husband John at their home (or their in-laws’ place or their cabin) where all supplies will be ready because John stopped and picked them up on the way out of town or because they store them at the cabin, in-laws, etc. Some SHTF scenarios call for leaving town, others call for holing up at home. Discuss in advance which scenarios you’ll leave town for and which you’ll head home for. Here are some other SHTF planning tips to consider. Learn several driving/walking/biking routes from your home or workplace that will get you where you need to go. In the case of an unexpected event, highways and interstates will likely be gridlocked unless you can get our early. Bring passports, birth certificates and drivers’ licenses with you. Have them in a secure place all in one bag so you can grab them and go. Have a bug-out bag containing basic necessities such as meds, snacks, water, etc. for if you have to leave your area quickly. You’ll never regret being prepared for an emergency situation, but you may regret not being prepared. Take the steps you need to take and make a plan for your family that will keep them safe no matter what kind of unexpecteds happen. Am I missing anything? Do you have a SHTF plan? I hear you on the rifles. We have shotguns and rifles for just in case we need to kill our own food, too, though I suspect we’ll rely largely on garden veggies. Wow I hadn’t heard the warnings from the German government, that’s a little concerning. Thanks for giving us something to think about. We do have firearms as well which would certainly be handy. I know – creepy, right? Firearms are good in the hands of good people like yourself. Definitely a prepping necessity, both for protection and for hunting. I’ve read an entire book and a number of articles about prepping for a disaster, but I still feel greatly unprepared. I just never make it a high enough priority. This is some really solid advice and I think people would greatly benefit from planning ahead at least with water and food. In Minnesota I worry about prolonged power outages and what that would mean in the middle of the freezing winter. Nice list of things to do and to prepare, Laurie. It’s better to be prepared than not. Glad you like it, my friend!!! Always good to be prepared. You New Yorkers especially know, with Hurricane Sandy and all…. You know sometimes I worry that we’ll have our own version of the 1930’s depression. It could happen. Pretty sure that no one saw the crash of ’29 and the depression coming! Other times I think the preppers are going too far, so I’m not sure what to sometimes think. I do agree you should at least have a minimum for 2-3 weeks. I believe it will happen, Lila, I really do! The financial and social conditions in America are very similar to what they were right before the 1929 crash that started the Great Depression. Preppers can definitely go too far. One episode of Doomsday Preppers will show you that. Then again, maybe they’ll prove us wrong. I think the problem can come when fear takes over common sense, you know? May I ask where the information regarding the German warnings originated? Living this side of the pond and in Europe this is something that we have not heard. Only yesterday I was looking through our small stock of dried and tinned goods and making a note of what we had/needed. Ah I just found the article on the BBC News website. Oh good! Glad you found it! Here’s the link: http://www.shtfplan.com/emergency-preparedness/under-siege-by-terrorism-germany-warns-population-obliged-to-hold-supply-of-food-for-10-days_08222016 It was a sobering article. I’m SO happy to hear my friends from the other side of the pond are prepared. You and Mr. Imindoors are on the right track!!! Important information here, Laurie! I get so uncomfortable when I think about being in an emergency situation. I have some work to do. I think I’m a borderline food hoarder, so food isn’t an issue, but I do need to work on stocking up on water. Mostly, I need to do some planning with my family. We all go entirely different directions each weekday, so we really need to have a plan in place. Thanks for the reminder! Yes, a plan is super important! I’d love to hear how you go about creating one. Thanks, Amanda! Good point about the manual can openers! If you go through every aspect of life and consider how it would be impacted by a lack of electricity, that’s a whole lot of change. Strange for me to read comments about guns. They aren’t legal in Canada – except for people with a hunting license. We’ve had some things happen a few times now during power outages that really kind of woke us up to the reality of living without electricity. It can be scary! Interesting about guns. I wonder if a lot of hunters don’t actually hunt but just want to be able to legally keep guns around? Definitely a good idea to be prepared whether something happens or not. I agree, Doug! No sense in taking chances. I think it is inevitable that something will happen. It’s just what will be the straw that breaks the camels back (Social Security going broke, the world calling our national debt, community polarization, etc.) we don’t know. But it’s been happening to enough small island economies that it’s only a matter of time before something big happens. Our move to the country is of some comfort as we do not live in the city center, but we still do not live in the boonies (i.e. the back 40 in Montana). I think prepping is important, but one of my larger fears is looters. Looters are definitely a concern, especially if one lives in an urban area. 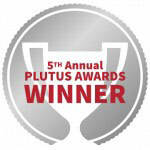 Home protection and safeguards are important. This is exactly why I save so much of my income. Yes, I don’t NEED to save so much currently but I have no idea when something will happen. This makes saving almost an insurance policy where I don’t have to pay a company if something bad happens, I’ll have years of savings racked up already if something does happen! Yes!!! Great comment, FS! Although I highly recommend saving goods as well. All the money in the world will do you no good if grocery store shelves are cleared out. These are excellent tips. Definitely things to think about in the event of an emergency.